I knew that this moment will drag me back here and write something that I’d love to remember years from now. As an expat in the little red dot, everyone’s in awe whenever I tell stories of how Pacman turns the busy streets of Manila (and all parts of the Philippines) into ghost town whenever he has a fight. As crazy as it sounds, it’s like an unsaid rule that Filipinos are glued to their screens to watch the great boxer and pray for his “win” each and every fight. I grew up with this. Haha. And I’ve shared a lot of great memories with my dad while watching the fight and drinking a cold San Miguel beer with his friends. I didn’t even like boxing. It’s violent for me. 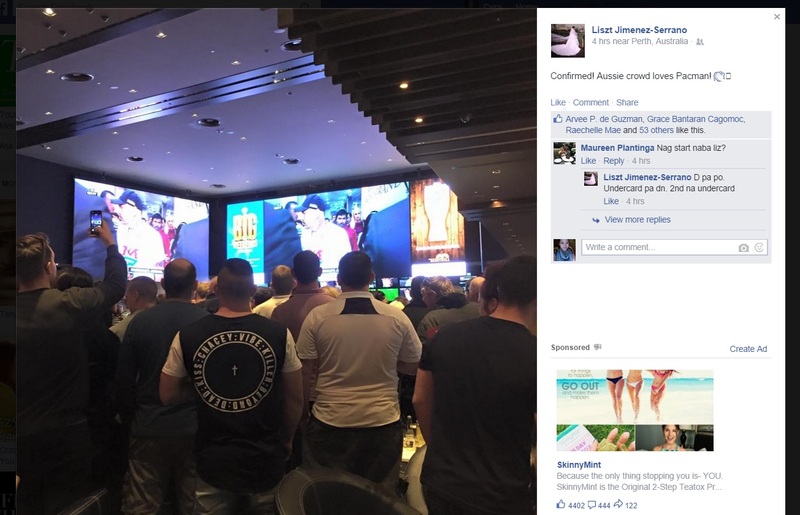 But a Pacman fight turns every Filipino around the world into a boxing expert everytime. 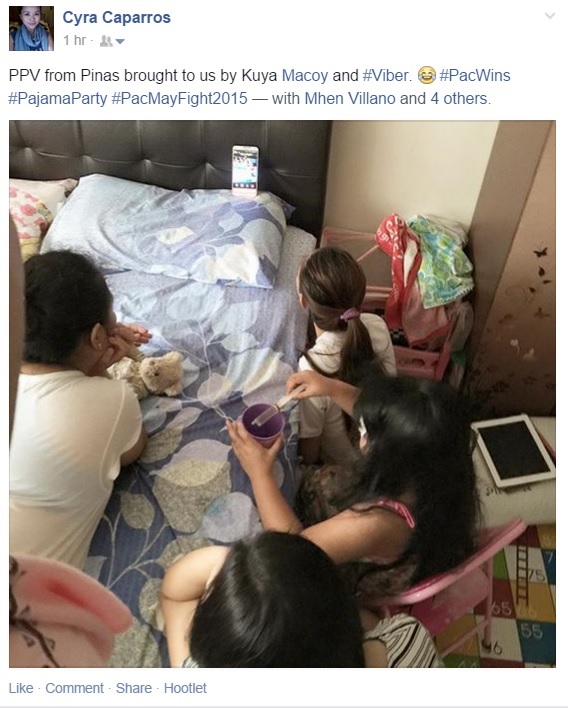 Believe me, from Philippines to US, Middle East, Taiwan or UK, Filipinos are glued to their phones to catch up with families before and after the fight. Amazing, right? 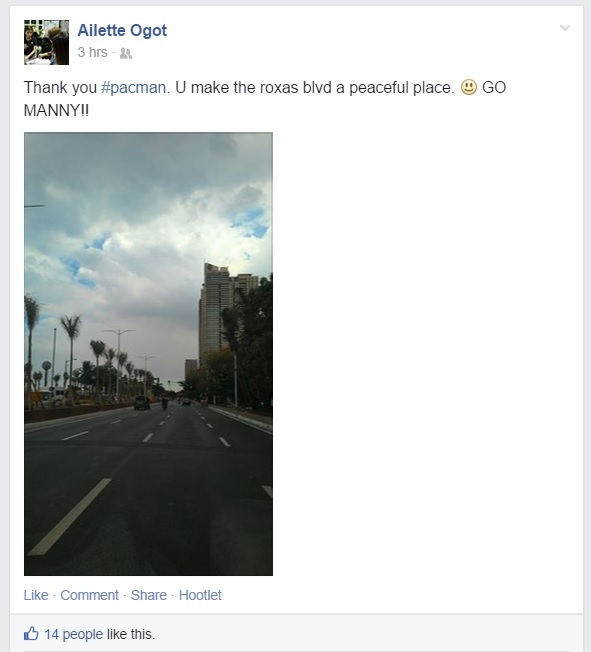 At some point, Iknow Pacman brought heart to the boxing sport and united the Philippines in so many ways. No need to go far, my news feed says it all. Us earlier. LOL. 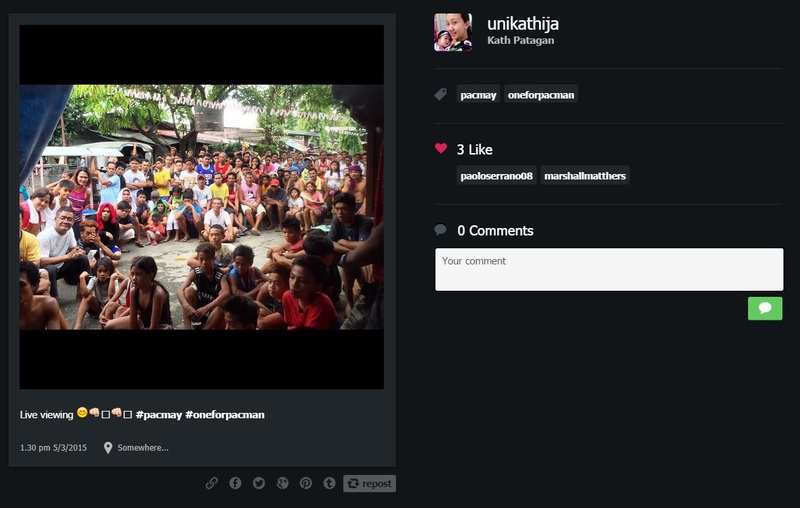 #OFW Thanks to Kuya Macoy and to Ate Mhely for the live stream. Haha. Working in the marketing and advertising industry, I know that there’s something clever that’ll come out from great brands in moments like this. This time, McDonald’s got the spotlight. A couple of days before the big fight, McDonald’s Philippines released a clever ad to show their support to the Filipino champion. It’s very timely and sincere to the point of touching the hearts of every excited and nervous Filipino supporter. After the fight, McDonald’s impressed me even more by sending the message that captured what the shocked (somehow sad) Filipino fans would like to say. 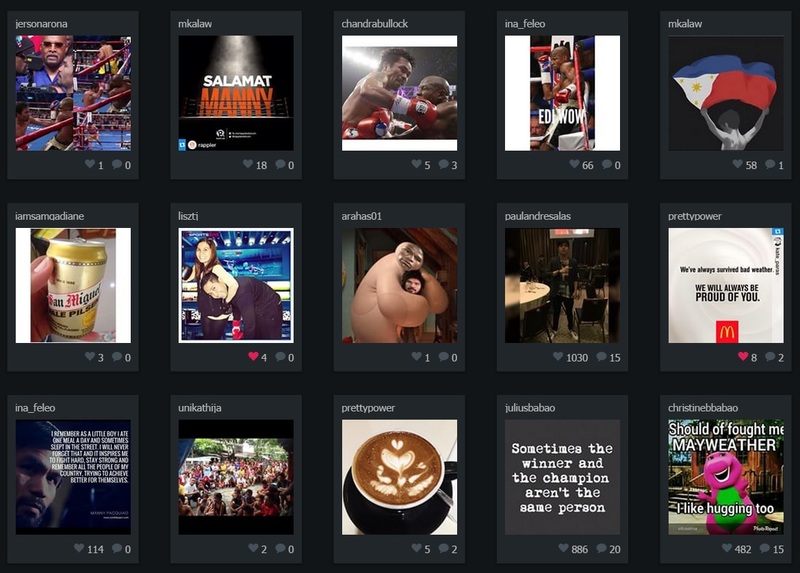 Below is the screenshot of my Instagram feed minutes after the fight. 🙂 Photo credit to my IG friends but correct me if I’m wrong, McDonald’s message just blended in. It’s a brand that cares… makes you wanna say “let’s go have some McFlurry kasi mainit ang ulo ko!” Haha.